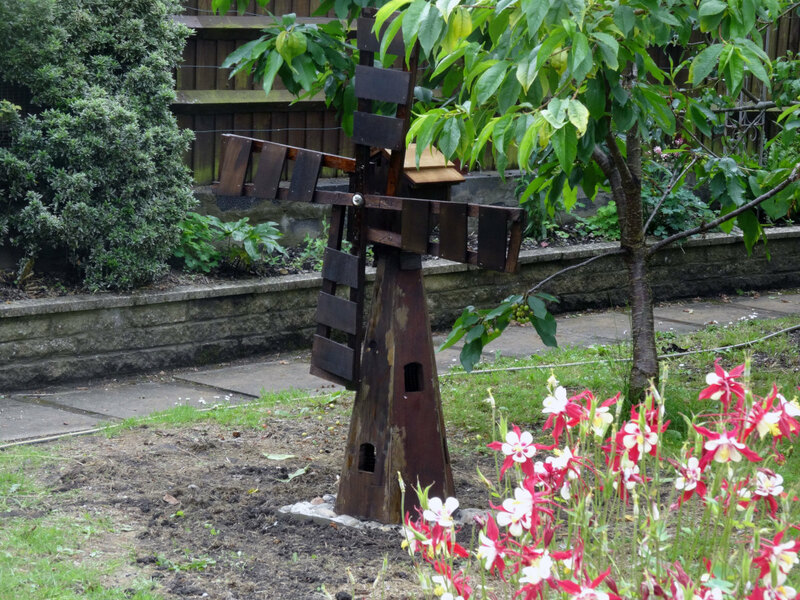 An Alternative To Expensive Ornamentals? 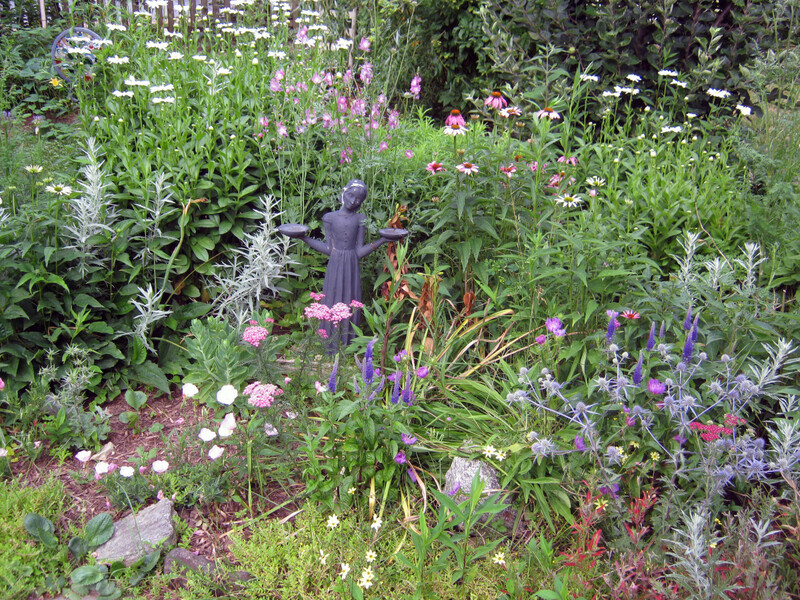 Do you like using ornamental grasses in your landscaping? What about bulb plants such as irises? If so, then you might enjoy adding the common spiderwort to your flower beds or borders. This plant is a wild flower found in abundance across many parts of the US. 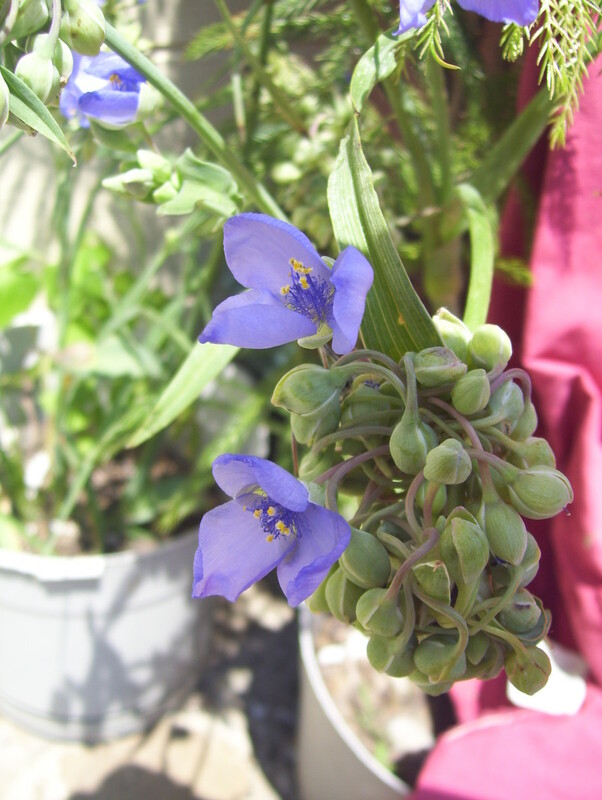 Although it is a "grassier" plant, the spiderwort also blooms. 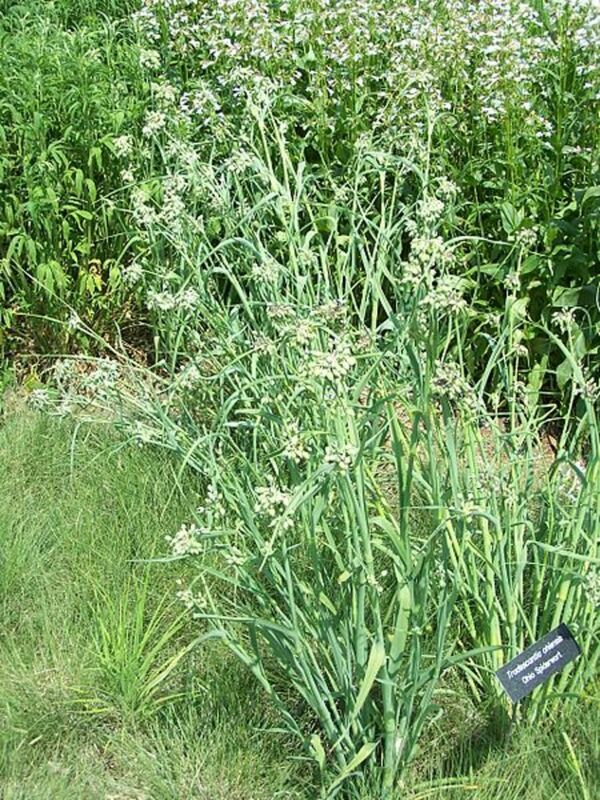 It resembles bulb plants, such as in that the flower stalks grow up taller than the leaves. However, it blooms much longer. When fully mature, the leaves create an attractive fountain-shape, resembling ornamental grasses. The whole plant can be moved easily, and will grow well even in crowded conditions, making it excellent for that dense look popular with country garden lovers. 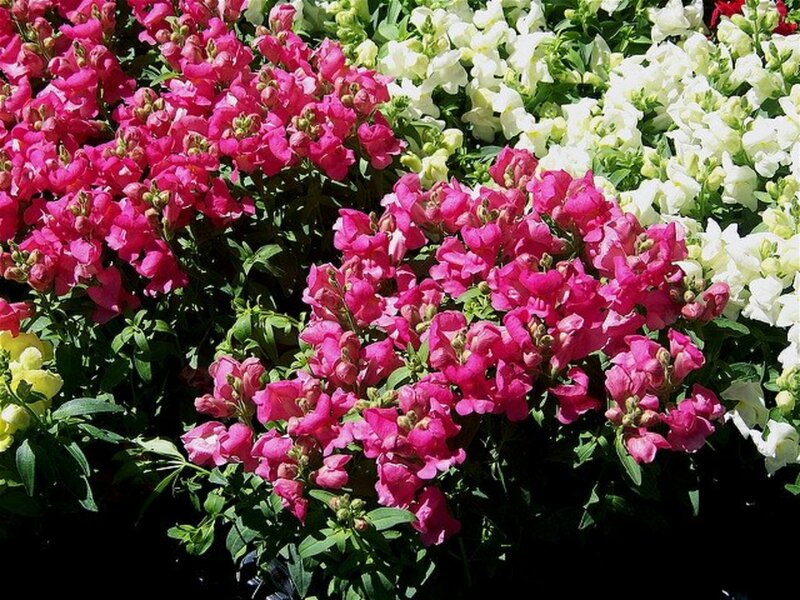 The blooms come in a variety of shades, from delicate lavender to plush pink. Common spiderwort belongs to the genus Tradescantia. It is one of an estimated 71 species. 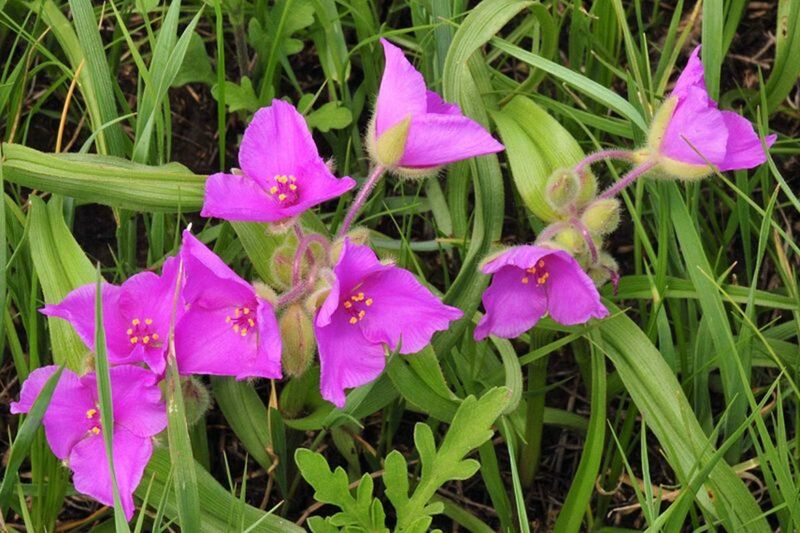 Many other familiar plants are related to the common spider wort, including Wandering Jew. Depending on the species and environmental factors, plants may grow anywhere from 6-36 inches tall. 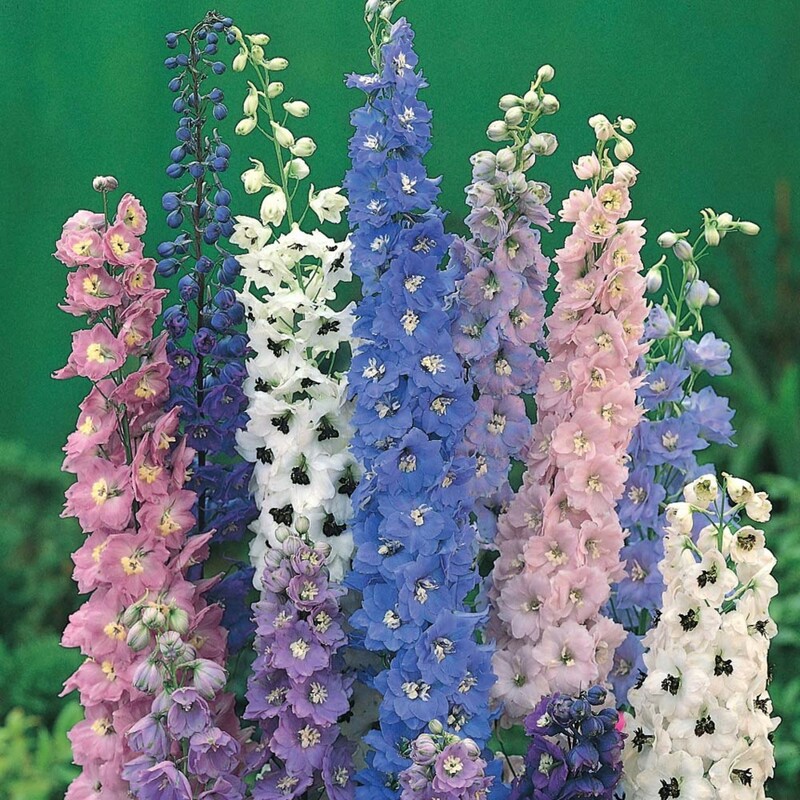 The flowers, which open in the morning and last only one day, can be white, pink, blue or varying shades of purple. Spiderwort is a monocot, meaning that the flower parts are composed in groups of three. In the case of spiderwort, each flower has three petals. Monocots, including spiderwort, tend to have thick, fibrous roots as well. The stems and leaves, when broken, reveal a sticky, white sap. The stretchy quality of this sap earned the plant it's nickname of "slobber weed". The sap can cause skin irritation in some people and animals. These are non-fuss plants. They seem to enjoy all soil conditions and aren't picky about sun or shade. Although they can be kept in a container, I noticed that the plants that were potted displayed different qualities than those in the ground. Preferred cramped pots to roomy ones. Plants are often as picky and individual as humans, so it is hard to say (without more experimentation) whether or not these are "rules" or just what happened to my plants. Although it was nice to see the plants dripping with clusters of blooms, I didn't like the stalky, leaf-less plants in pots as much as I liked the bushy clumps in the flower bed. 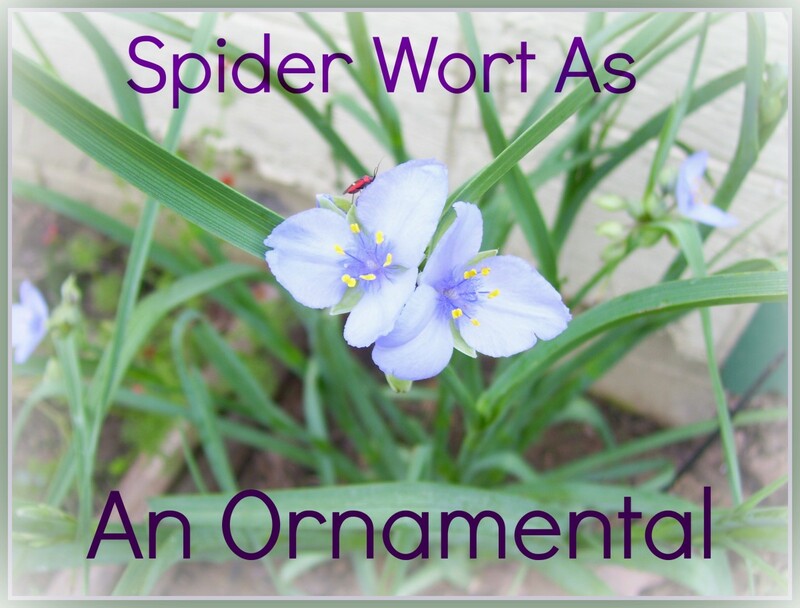 Would you plant spiderwort or another "weed" as an ornamental? If I thought it was pretty, yes! Only those that serve as beneficial companion plants for vegetables/flowers. Maybe...aren't all plants considered weeds somewhere? Probably not. I like traditional flowers. No way. I diligently remove weeds without mercy. The flowers, stems and leaves of the spiderwort are edible. The young leaves, when tender can be eaten raw or boiled down with other greens. Parts of the plant have been used in folk medicine for years. The most common use among Native Americans (especially the Seminole Tribe) is a male virility aid. It was also given to livestock as an aphrodisiac. Magically, spiderwort is thought to attract wealth and abundance. Also, because of it's name, it can be used to repel spiders and protect from bites. The flowers are associated with delicate beauty. When added to the bathwater they can help retain attractiveness. 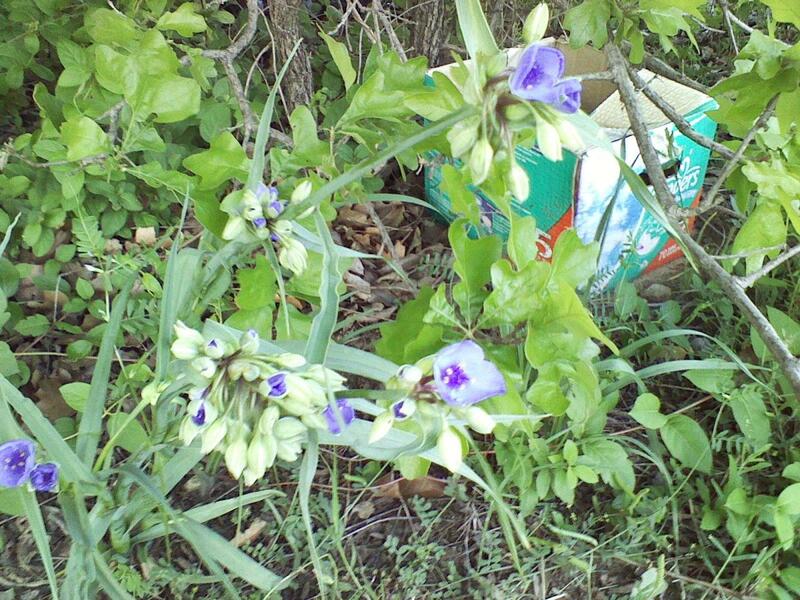 Scientifically, the spiderwort has proven to be very sensitive to radiation and other toxins in the environment. 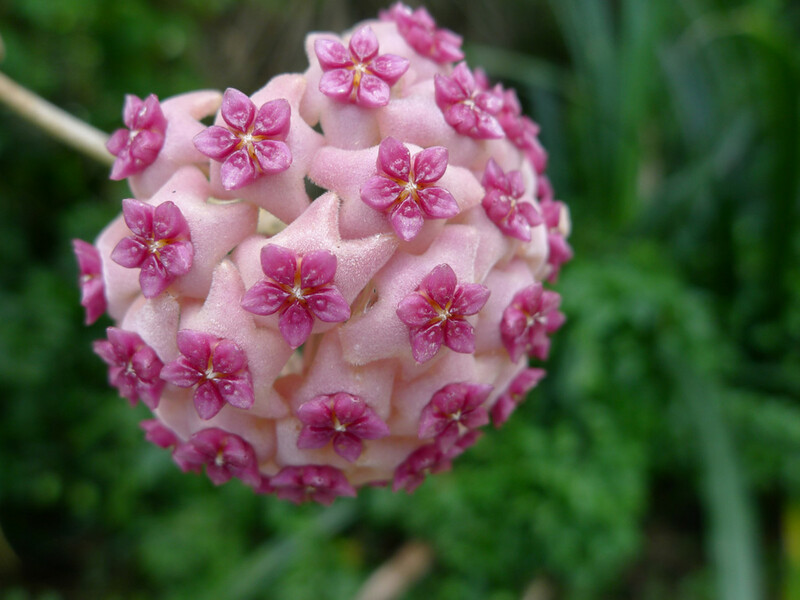 The flowers will turn from their usual shade to a bright pink when exposed to harmful pollutants! If you find a patch of spiderwort somewhere and wish to transplant it, the whole process is easy. All you need is a shovel, a bucket, and a patch of garden in which to plant. Dig deep and wide around the plant. The roots are not particularly long, but they spread outwards quite a bit. The fewer roots you damage, the faster your plant will perk up. If it will be awhile before you can transplant, place the whole plant in a bucket and cover roots with water or damp soil. Dig a hole bigger than needed, and backfill with loose dirt. This helps the plants recover from transplant shock quickly. Water after transplanting, then regularly along with other plants. 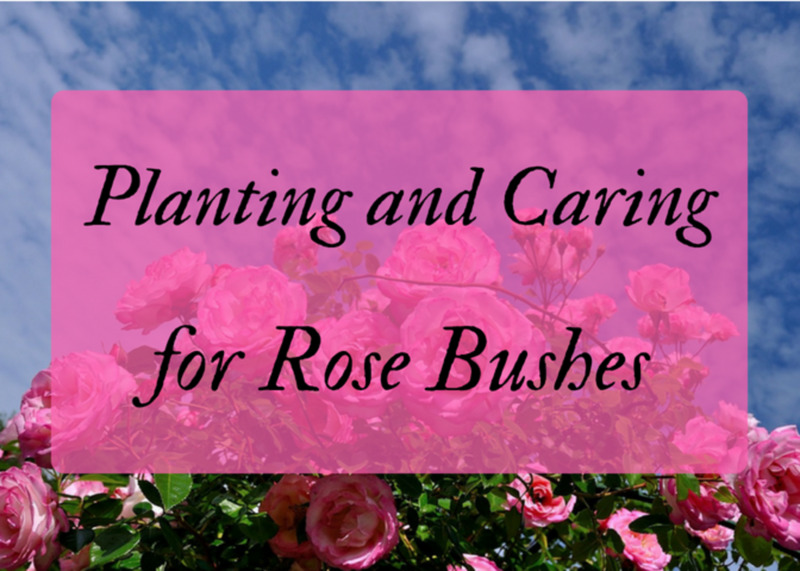 Plant several plants together on a clump to create a fuller display. They don't seem to mind being crowded. Although it is an attractive plant, spiderwort may not be the ideal addition for some gardeners. As with all plants, it comes with some pros and cons that need to be weighed before making the move. Fragile stems when at it's tallest. Hard rains can lay it over for awhile. Although the wild spider wort has stopped blooming, mine still flower out every morning. I keep them going by clipping the bud heads after they have turned black and have no more green "pods" on them. The plant will produce new green leave growth around the wound and buds in other places. This may be individual to the common spiderwort plant. I have learned some interesting things about spiderwort this year as I observed plants that were transplanted last year and this year. 1.) To begin with (and this could be the zone), they transplant very easily. I have moved them in the early spring when they were new plants, and in the late spring when they were already blooming. Except for a minimal amount of wilt, they recovered in a day or two, and even continued to bloom. 2.) Although the blooms do begin to die by afternoon, that doesn't mean your plant is bare. New blooms open up each day. I have enjoyed spiderwort flowers for 4 months now continuously. 3.) They don't seem to be in a big hurry to spread. The plants from last year and this year, as well as those still on the back edge of the property have not multiplied in number. Yet. This may because I actually love this plant and actually want it to fill an entire flower bed! 4.) They seem to do equally well in shade, sun, partial shade, and pots. They have all bloomed the same. The only difference I noticed was that the one plant that gets more sun is shorter than the rest. It still blooms every day though. 5.) They attract bees and butterflies, but bad bugs don't like them. So far, they are the only plant that hasn't been viciously nibbled by grasshoppers and such. 6.) They sometimes bloom well into October. Even though they are a common weed, and not nearly as showy as some other wildflowers, I have come to love my spiderwort plants very much. The medicinal, magical and culinary benefits are enough to earn them a place in my garden. The fact that they are beautiful to look at just makes them all the more welcome. 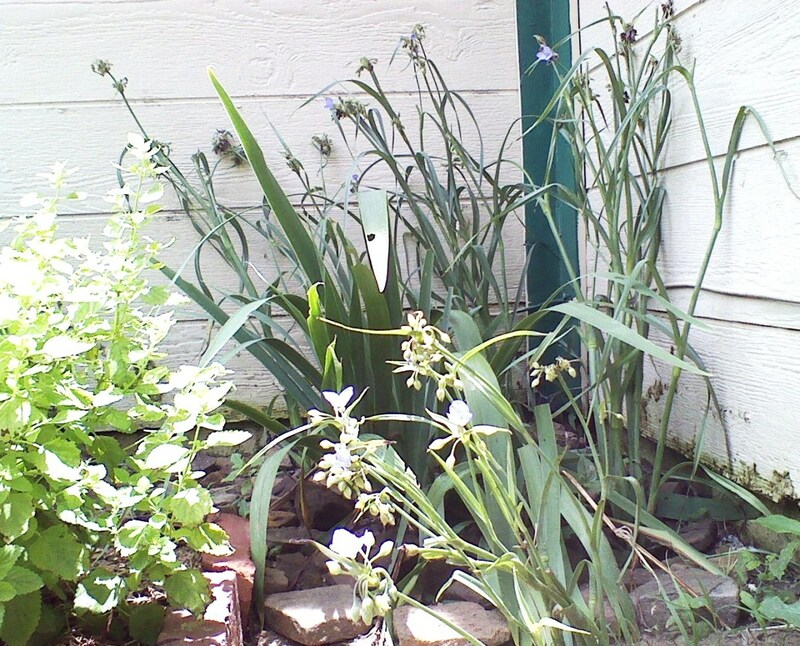 Time lapse video of spiderwort blooms closing in late morning. Congratulations on your Hub of the Day. Thanks for all the wonderful information! Kristen Howe--I hope you find one. They grow beautifully in pots. 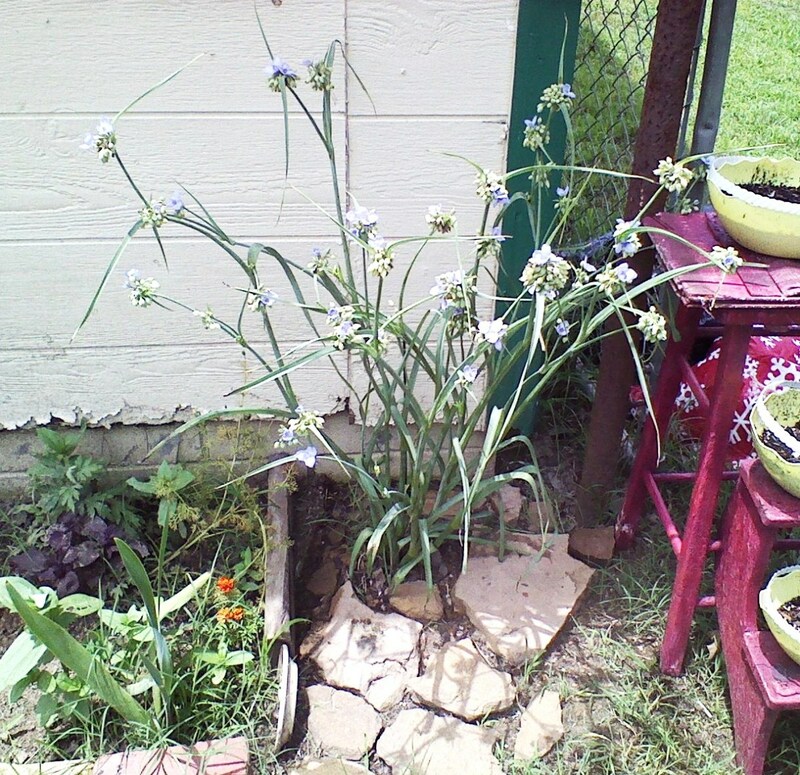 Since this article, my potted spiderwort has filled out, and this year it was covered in blooms. Thanks for reading! Congrats on HOTD. These are really pretty flowers. They resemble a plant that was in our yard in Alabama, but they never got tall like the ones in your photos. They died down in winter, then returned in spring. The flowers look the same but the foliage does not. Any ideas what that could have been? Cyndi10--Thank you. It would make a lovely border plant! That is a great idea! Bet we have spiderwort around here, at least in the springtime, and I didn't even realize it. There are so many gorgeous plants that are mostly looked at as weeds. Glad you're singing the praises of one such plant. Love the purple flowers! Congrats, too, on Hub of the Day honors! Congratulations on the HOTD! I see, I have already commented here before. I still have not seen this flower somewhere. I hope I will one day. I like this plant, but it is popping up everywhere in my gardens and I don't care for that. I noticed yesterday that it is growing all along our highway. If it wouldn't spread everywhere, I'd like it. Congrats on HOTD! I have seen this flower blooming in nearby ditches along the road, but didn't know what it was. Now, I'll be "swiping some when no one is looking! Congrats on HOTD, Jaymie. Beautiful hub with lovely photos and videos of the spiderwort. I might consider getting one for my patio garden next year. Voted up! Very informative hub. 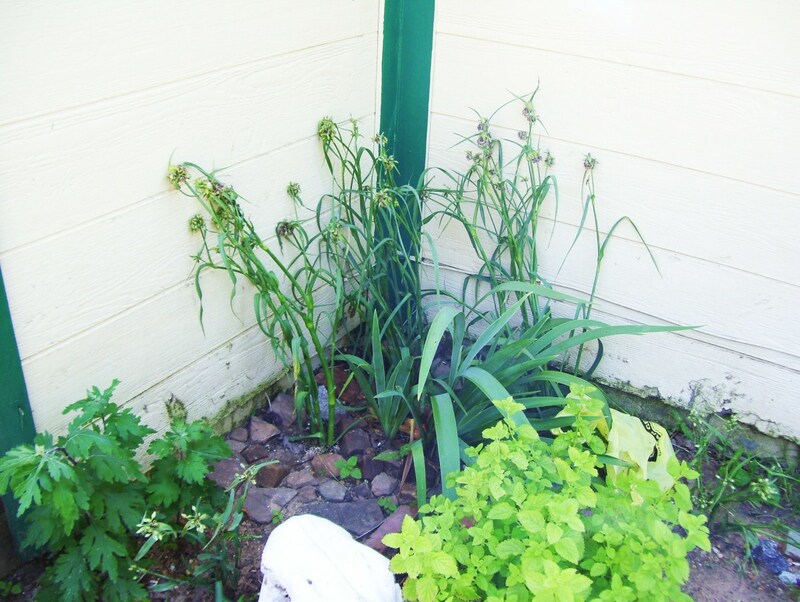 Spiderwort sounds like a great alternative to monkey grass as a border. Now if I can find it, I will replant it in my garden. @MartiCoetser--Thank you. They are really worth it if you can find one! @Thelma Alberts--Its a lovely plant and very tough. I really recommend it! I'm glad to find someone else who likes this plant. Several years ago, I moved a couple from the woods to the edge of my yard where they grew and multiplied. Then this year they didn't come back, nor did the one in a neighbor's yard. I wish I knew why. I love my spiderwort and, while it gets leggy, I like the color it adds to my border. It's also so easy so I can't go wrong with it. Nice hub. Using Common Spiderwort As An Ornamental Garden Plant sounds a simple to grow plant and is worth a try. You have created a useful and interesting hub on this plant. I have not seen or heard about this plant before. Thanks for sharing this information. I´ll be looking for this plant soon. I love the color of this plant. Voted up and useful. Very interesting! I love flowers. I don't have this variety in my yard. It's very pretty. I have similar plants with grass-like long leaves though. This would be a nice addition. @tillsontitan--Wow! Sorry they took over your yard. I love them, but wouldn't want them to take over. Maybe that is a difference in species? According to the extension service, I have the Ohio spiderwort. It doesn't seem eager to spread. Even the wild plants in the woods are still the same as they have been for years. Then again, maybe you have a lot better growing conditions! @aviannovice--They do better with at least a few hours of shade per day. But the full sun doesn't seem to kill them either. They just aren't as bushy in those locations. The plants that did best were planted on the east side of the house. The ones on the north, even though the got the same amount of sun and indirect shade, died back sooner. The ones on the south in full sun do okay, but need more water than the others. Thanks for reading! I would love to have a Spiderwort in my garden, but I have not yet seen one in my region.... Time for searching. Congratulations on your 100 hubberscore, Sharkye! Yes, they are beautiful and bloom in varied shades. You've written a very nice hub about spiderwort and its benefits. I live in upstate NY and have to say they are the most invasive plant I've ever had. I dug up a few from a neighbor several years ago and now they are everywhere! They just seem to pop up. Getting them out is a nightmare as the roots, as you said, are very long. I wouldn't mind if they'd stay out of my walkways but they seem to like to travel. Okay, now that I've vented, your hub is very well done and I like your pictures. Maybe I need to try to get my spiderwort in pots! @Madison--They are really fun plants. I hope you are able to find some! These are really ver beautiful. I don't expect that they would do well in the vicious heat of OK, unless they are under the cover of shade? @Lee--That is pretty cool. I know they bloom a long time here too, even in the punishing heat. They are pretty happy plants. Thanks for reading! Good Piece! I'll have to try it. Spiderwort is a common wildflower here in Fl. I dug one up from the field near my house and moved it to my flower garden where it bloomed all summer, (unusual for a flower in Florida). I notice that once ir had re-established itself it didn't care about water.